The opening ceremony was the first action of the day as the five-day competition was officially opened before day two’s programme started at the Imperial Ballroom, Atlantis Paradise Island Bahamas. Minister of Youth, Sports and Culture for the Bahamas, the Honourable Mrs. Lanisha T. ROLLE (above) made the opening address. “Good morning ladies and gentlemen, judo was established by Jigoro Kano in 1882. Judo was first martial art to gain widespread recognition and the first to become an official Olympic sport. Judo is considered a worldwide phenomenon in martial arts. “I welcome you all to the Bahamas which is becoming an important host for major sports event. On this occasion of the Junior World Championships 2018, we are delighted to serve as your host country for this high level event which has attracted 426 judoka along with their respective caches and officials. “We will see skill, intensity and excitement which promises the competitors a memorable experience. Our country has developed a reputation for hosting major international sporting events such as athletics, football and the Commonwealth Youth Games (CYG). IJF President Mr. Marius L. VIZER said: “Dear honourable minister, dear guests, dear judoka and judo family members, it's a great honour for the IJF to organise the Junior World Championships in the Bahamas. 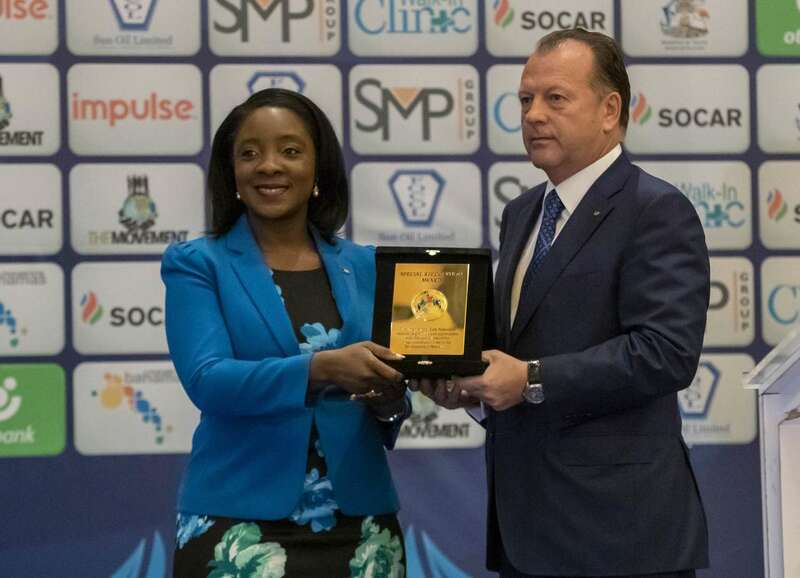 Thank you very much to the government, all institutions and organisations who have contributed to the success of this event and especially the judo federation of Bahamas and their President D’Arcy RAHMING. “I want to thank all national federations, athletes, coaches, referees and everyone who has contributed to success of this event. 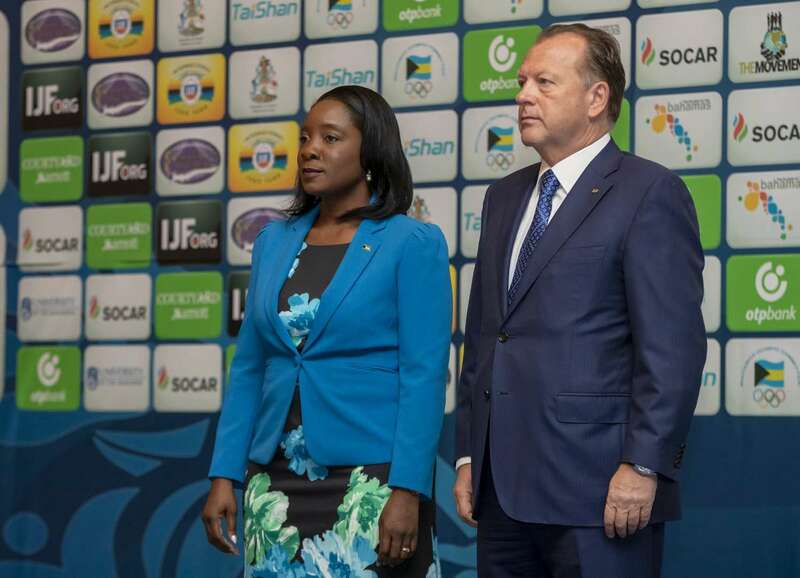 “The judo spirit is great and we hope to see it here in Nassau. I wish you a successful competition and nice days in the Bahamas, thank you very much, I open the competition in the Bahamas. On Friday, the attention switches to the women’s -63kg and -70kg categories and the men’s -81kg and -90kg categories. Former Cadet World Championships gold medallist TAKEDA Ryoko (JPN) won the Junior version of the world title with victory over Agadir Grand Prix silver medallist Gefen PRIMO (ISR) in the first final on day two. 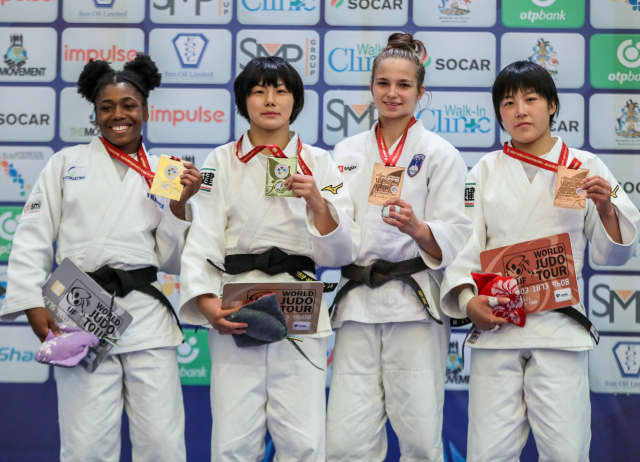 TAKEDA, whose 2015 world title win came in the -57kg category, looked comfortable at -52kg as she beat her Israeli opponent by two unanswered scores. 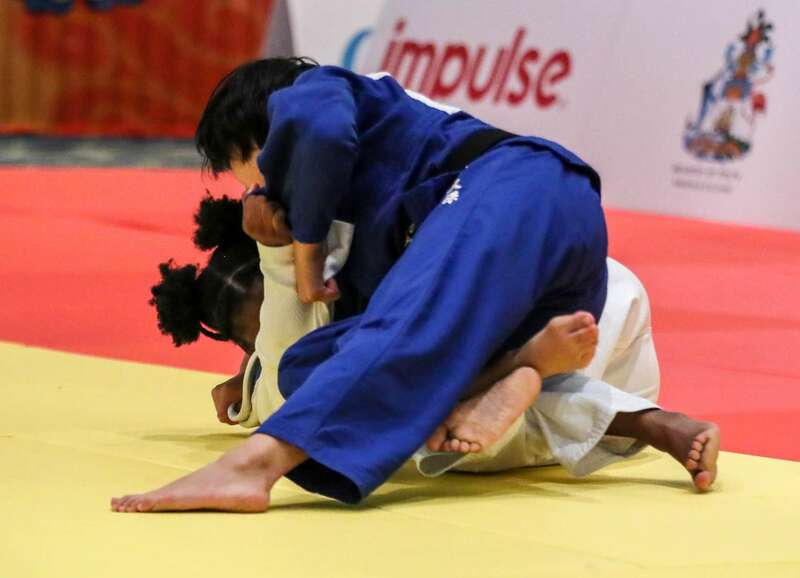 TAKEDA concluded a fine win with a sode-tsurikomi-goshi for her second and match-winning score to add to Japan’s glut of gold medals in the Bahamas. In the first semi-final four-time Junior European Cup bronze medallist Aleksandra KALETA (POL) fell to the dynamic TAKEDA by a waza-ari from an o-uchi-gari to seal a place in the gold medal contest. In the second semi-final PRIMO rescued her contest against RICIU having initially trailed by a waza-ari score. PRIMO rolled her Romanian opponent over for a waza-ari score and followed up with osaekomi-waza in the form of a kesa-gatame for 10 seconds to secure a place in the final. The first bronze medal was won by RICIU who countered an uchi-mata from Junior European Championships winner Faiza MOKDAR (FRA) by rolling the French judoka over for a waza-ari after 15 seconds of golden score. The second bronze medal was claimed by KALETA who tapped out Junior European Championships bronze medallist Coraline MARCUS TABELLION (FRA) with a juji-gatame for ippon. France were denied their first medal of the competition as the Polish judoka was superior and opened her country’s medal account in the Bahamas. -57kg: FUNAKUBO wins her third Junior world title for Japan Zagreb Grand Prix bronze medallist FUNAKUBO Haruka (JPN) remained unbeaten at the Junior World Championships as the Japanese hotshot won the event for the third time. The defending Junior world champion won gold in 2015 and 2017 and this year made her IJF World Judo Tour debut with bronze at the Zagreb Grand Prix in July where the youngster lost on international soil for the first time. The world number 28 in the senior division defeated Düsseldorf Grand Slam bronze medallist Sarah Leonie CYSIQUE (FRA) in the -57kg final in Nassau with a kesa-gatame for 10 seconds earning a second and match-winning waza-ari. 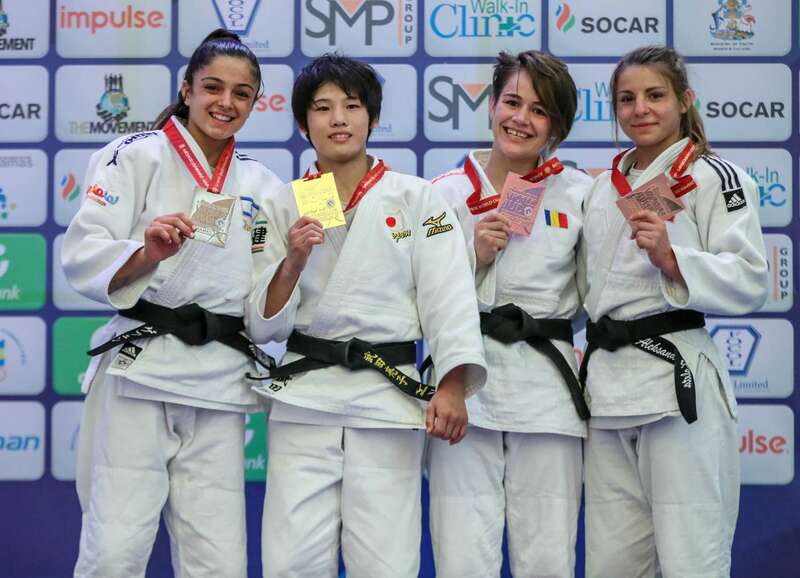 In the first semi-final contest 2015 Cadet World Championships gold medallist TOMIZAWA Kana (JPN) was upstaged by CYSIQUE in one of the most anticipated contests of the day. The French starlet threw with a low tai-otoshi for a waza-ari score which was enough for a place in the final after four highly-competitive minutes of judo. In the second semi-final FUNAKUBO defeated Agadir Grand Prix silver medallist Kaja KAJZER (SLO). The Japanese ace opened the scoring with a waza-ari score from a ko-uchi-gari and moved into osaekomi for 10 seconds to advance to the final. The first bronze medal was claimed by 1st Kyu brown belt KAJZER who beat Junior European Championships bronze medallist Marica PERISIC (SRB) after five and a half minutes of golden score. KAJZER profited from a false attack by her Serbian rival who was dismissed with her thirdo shido after nine and a half minutes of total contest time. The second bronze medal was won by TOMIZAWA who defeated Düsseldorf Grand Prix bronze medallist LKHAGVATOGOO Enkhriilen (MGL) in added time. Mongolian legend KHASHBAATAR Tsagaanbaatar, the 2004 Olympic bronze medallist and 2009 world champion, was in the coaching chair for former Ulaanbaatar Grand Prix winner LKHAGVATOGOO who is ranked number 24 in the world on the senior stage. TOMIZAWA prevailed by a waza-ari score after 29 seconds of golden score as Mongolia failed to hit the medal trail. 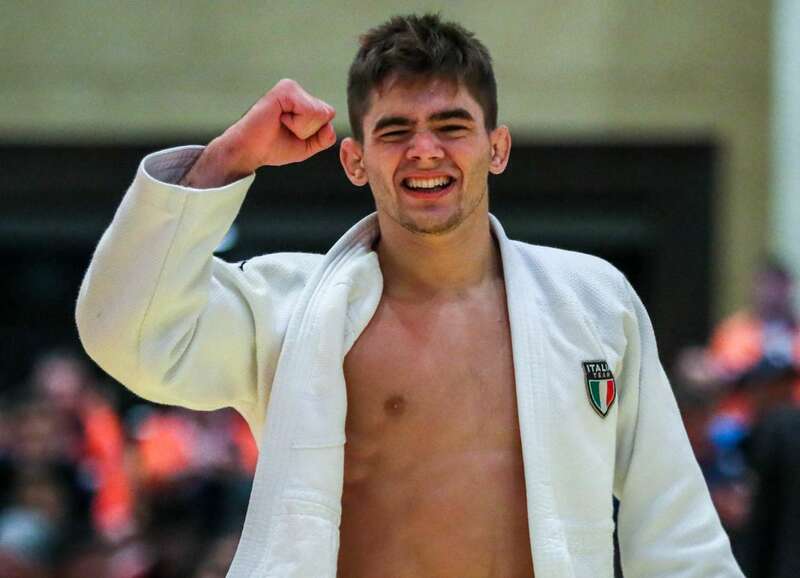 -66kg: Junior European champion LOMBARDO rules the world for Italy Junior European Championships gold medallist Manuel LOMBARDO (ITA) celebrated Junior World gold with a thrilling display in the -66kg category. Number one seed LOMBARDO lived up to his billing by beating Junior Pan American Championships gold medallist Michael MARCELINO (BRA) to make sure that Italy’s first medal in the Bahamas was gold. The Italian won by ippon after 71 seconds and fell down to his knees as the tears flowed and his teammates jumped for joy in the stands. In the first semi-final of the day, LOMBARDO beat IJF newcomer AIDA Yuji (JPN) by a waza-ari score. 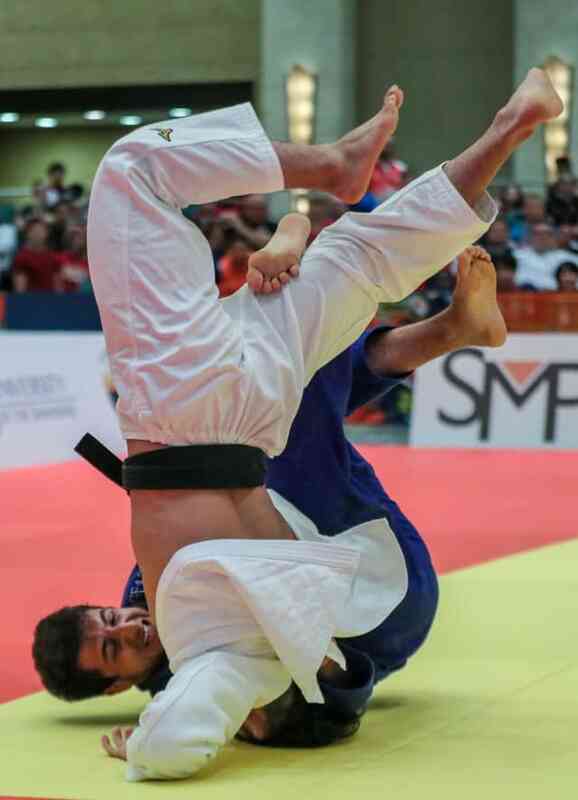 The Italian showed no fear going up against the Japanese and booked his place in the final with a modified kata-guruma for a waza-ari score which separated the young judoka after four minutes. 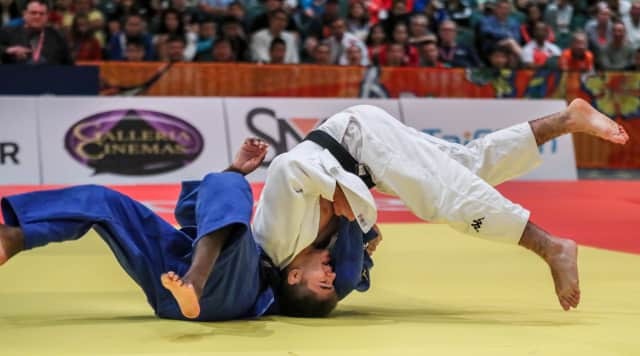 In the second semi-final former Cadet Asian Championships winner Sunggat ZHUBATKAN (KAZ) was launched through the air by MARCELINO with a majestic uchi-mata for ippon at the halfway point. 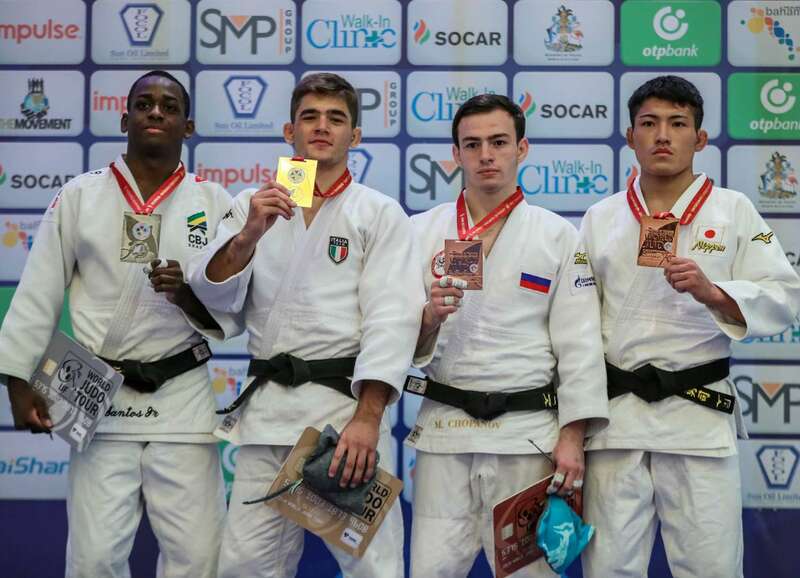 The first bronze medal was won by Junior European Championships silver medallist Murad CHOPANOV (RUS) who bested ZHUBATKAN by ippon after 80 seconds to claim Russia’s second medal in Nassau. The second bronze medal was won by AIDA who sent Cadet World Championships gold medallist Kazbek NAGUCHEV (RUS) over for ippon with an emphatic ko-uchi-gari after eight seconds of golden score that earned the applause of IJF Development Director and All Japan Judo Federation President YAMASHITA Yasuhiro. 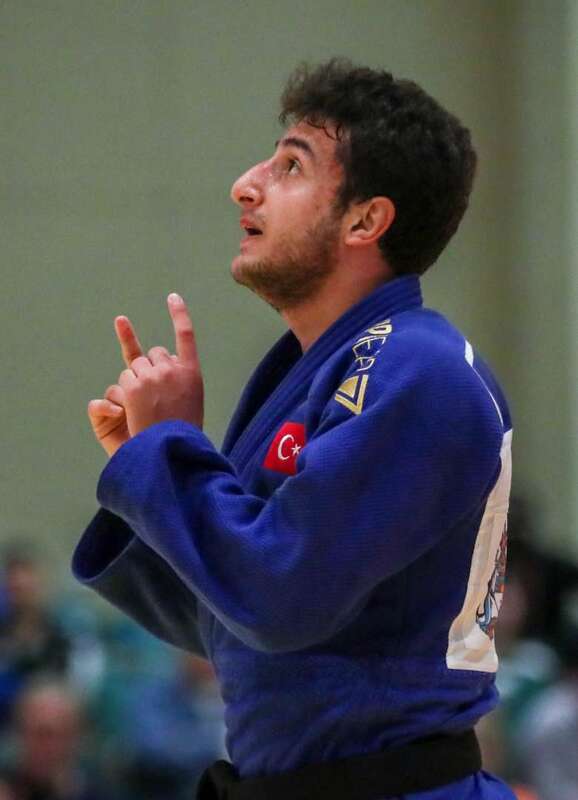 -73kg: Turkey’s CILOGLU breaks Japanese resistance to go one better than 2017 silver Senior European Championships bronze medallist Bilal CILOGLU (TUR) showed his maturity and top level experience by coming from behind to defeat a Japanese judoka in a major final which is an extremely rare feat. 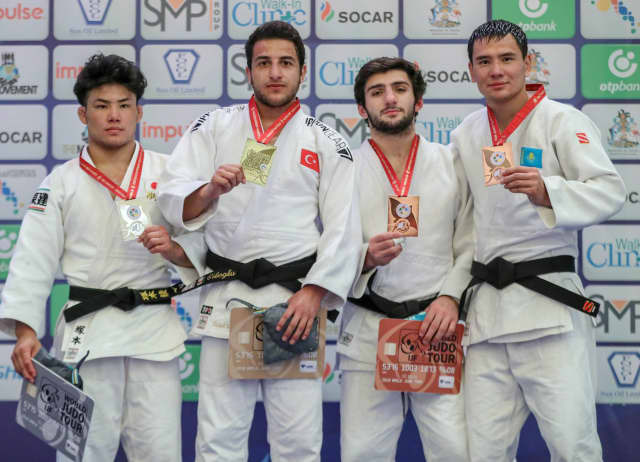 The 20-year-old Turkish judoka, who took silver a year ago, backed TSUKAMOTO Ryo (JPN) into the corner and the Japanese scored a waza-ari from a uchi-mata on the edge of the contest area. CILOGLU pulled level with a waza-ari score from a sumi-gaeshi in the closing seconds to send the final into golden score. TSUKAMOTO was caught with the same technique 16 seconds into golden score to give Turkey a sensational win on day two. 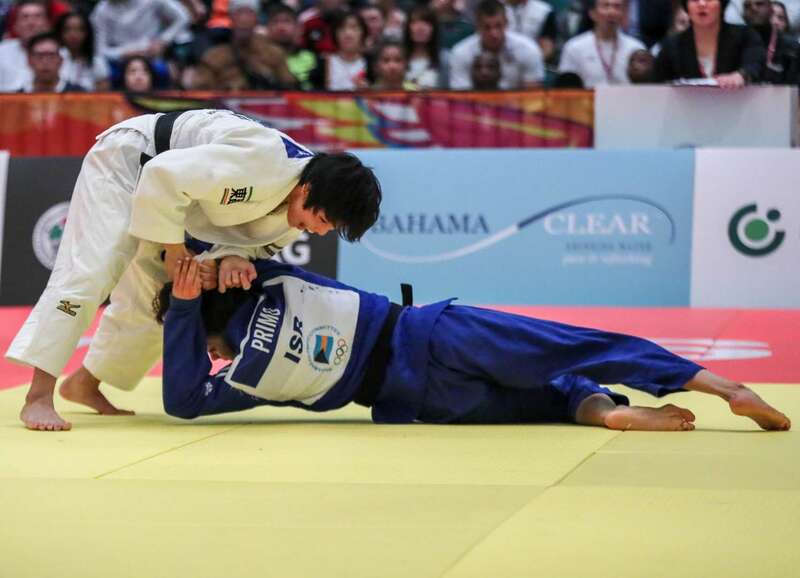 In the first semi-final TSUKAMOTO had to come from behind to beat three-time Junior European Cup winner David GAMOSOV (RUS). The Russian led by a waza-ari score from a uchi-mata after 90 seconds and was on course for victory until the very last second when TSUKAMOTO registered a buzzer-beating waza-ari to force golden score. The Japanese judoka only needed seven seconds of added time to complete his road to the final with a modified kata-guruma earning ippon. In the second semi-final Georgios MARKARIAN (GRE) was disqualified after receiving his third shido for passivity against CILOGLU in golden score. The first bronze medal was claimed by MARKARIAN who produced one of the ippons of the day at the expense of one-time Junior European Cup winner Victor STERPU (MDA). Greek judoka MARKARIAN threw his rival from Moldova with a sumptuous seoi-otoshi for the maximum score and his country’s opening medal in the Bahamas. The second bronze medal was captured by Berlin Junior European Cup gold medallist Zhanbolat BAGTBERGENOV (KAZ) who timed his score perfectly. Kazakhstan’s BAGTBERGENOV earned a waza-ari with nine seconds left on the clock with a ippon-seoi-nage and Russia’s GAMOSOV had no time to respond and finished fifth.